Lock in a great price for The Edgbaston Boutique Hotel – rated 9.1 by recent guests! 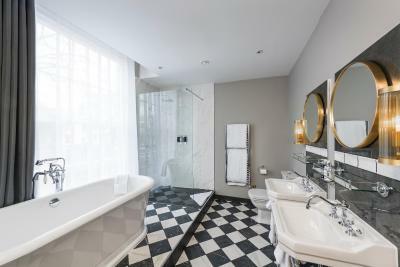 The whole experience from arrival to check out was a pleasure, the staff are attentive, the ambiance is fabulous, the rooms super special, especially the roll top bath. Bed very comfortable, breakfast was fantastic quality, and the privacy and private parking in leafy garden just made the whole experience easy and most repeatable, I will be booking again soon. For our first experience, it exceeded all our expectations. We were treated like royalty and we are already planning our next trip. Thank you it’s been a pleasure! Location to the Cricket Stadium. Comfortable bed, good selection of drinks and snacks in the room.Nice outside seating area. Very Art Deco. 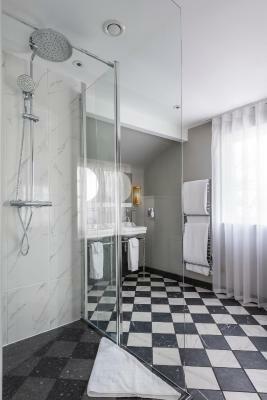 Up class, stylish, modern and well designed boutique hotel. Marvelous bars and outdoor areas. My suite was simply stunning.. Staff is great, professional and local. Strongly recommended if you would like to surprise and impress your soul mate or your guests visiting that part of UK. One of our best sellers in Birmingham! Located in Birmingham, a 16-minute walk from Broad Street, The Edgbaston Boutique Hotel has a garden and rooms with free WiFi access. Featuring a 24-hour front desk, this property also welcomes guests with a restaurant and a terrace. Local points of interest like Brindleyplace and Gas Street Basin are reachable within 0.9 miles and a 19-minute walk, respectively. Symphony Hall is one mile from The Edgbaston Boutique Hotel, while Arena Birmingham is 1.4 miles from the property. Birmingham Airport is 11 miles away. 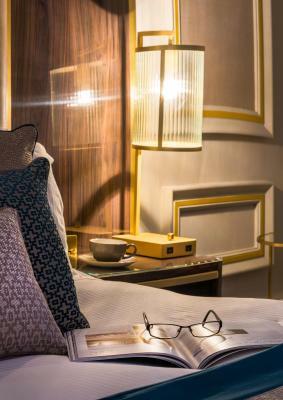 When would you like to stay at The Edgbaston Boutique Hotel? House Rules The Edgbaston Boutique Hotel takes special requests – add in the next step! The Edgbaston Boutique Hotel accepts these cards and reserves the right to temporarily hold an amount prior to arrival. The fire exit light was very bright in our room. The only disappointment was having to walk from one building to another for breakfast.It was okay for us as it was not raining.Would miss out on breakfast if the weather was bad. Room 5 had very poor natural lighting, so when wanting to get ready and doing makeup this was not ideal. Could do with having the blinds on the ceiling windows being electric so that guests can open and close to their preference. Also, there are no plug sockets around the dressing table, again, when getting ready this was another bug bear. I also feel for the price of the room’s a hot breakfast should come as standard and not have to be extra cost.